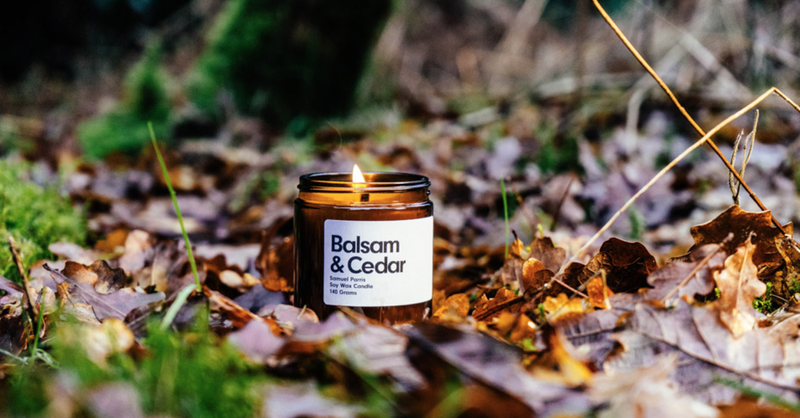 Originally starting with just their 'Hickory and Pine Smoke' candle and 'Sea Salt and Birch' they have now branched out and have many different scents on offer which will transport you to the coast, a campfire or deep in the woods varying from 'Balsam and Cedar', 'Oak and Whisky' and 'Tobacco and Pepper', unusual scents put together that work beautifully. 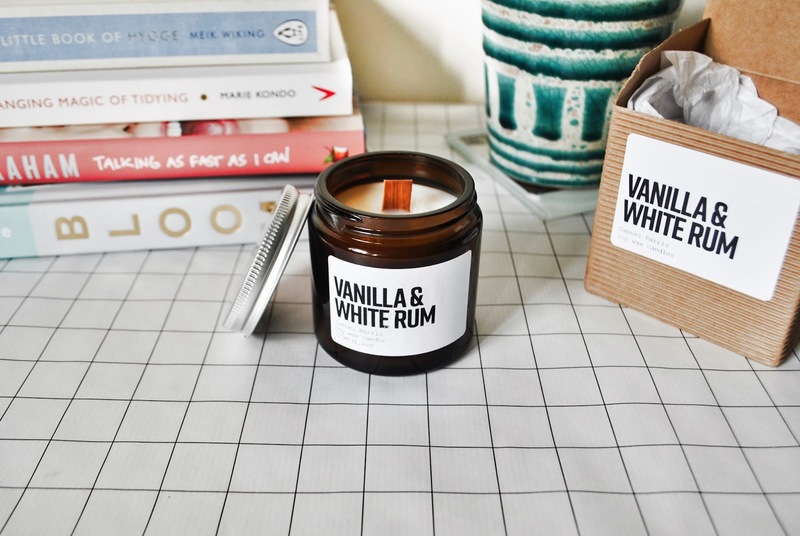 I was sent a Vanilla and White rum candle and I can't express enough how much I adore this candle. It's very sweet but not sickly and the mix of the rum gives it great depth and as soon as it's lit the room smells incredible! 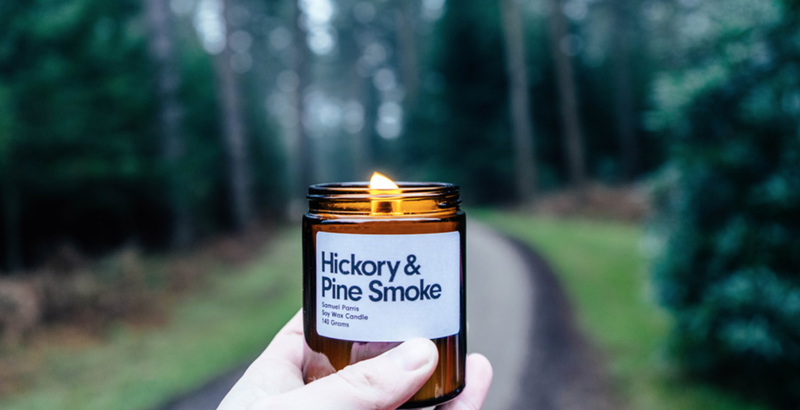 I also love the wick on the candle as it's a wood wick instead of a cotton wick which tends to burn longer and gives it that campfire effect - plus it doest leave that black smog up the jar! It sits pride of place on my bookcase among my favourite novels and lighting it is one of the first things I do when I get home after a long day. Plus it really does make me want to go camping under the stars having smores by the fire. If candles are your thing then you should check out the entire range that is on offer but I warn you, be quick as they have a tendency of selling out - they're just that good! (Which reminds me I better get ordering as I have almost burnt mine to the bottom). Be sure to head over to Instagram and look them up as they are seriously killing it with their images as you can see in this post - Instagram goals! Thanks to the team at Samuel Parris for my amazing candle, I hope you have all the success in the vast world and I'd love to come on an Adventure with you - it seems like you would have some stories to tell. Disclaimer: I was sent this product to review, but all opinions and views are my own. I'm not blowing smoke up them (pardon the smoke, candle pun). If I could try and buy every candle I wanted, I would probably have enough to stack on every shelf in my entire room! 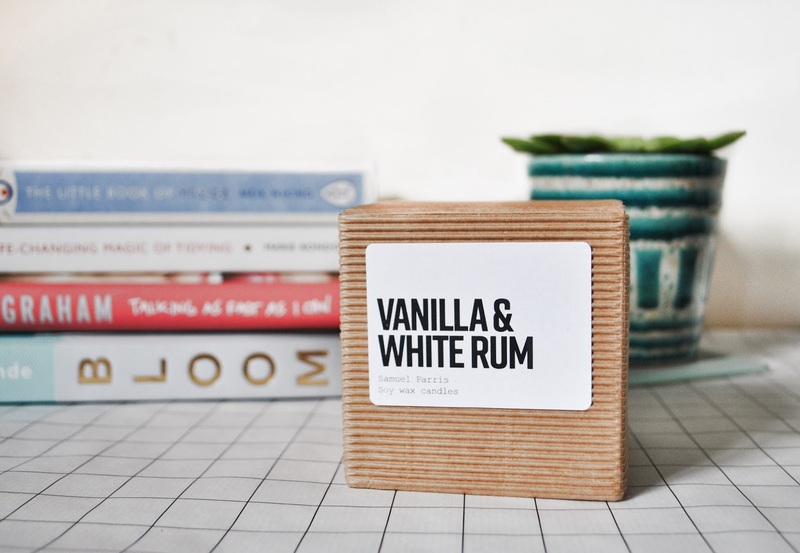 They add such a nice mood to any room, and vanilla and rum sounds amazing! I should probably a new candle for spring time. Bath & Body Works have amazing candles, and they burn so well. Thanks for your comment! I know the feeling, I would have candles everywhere! The Vanilla and Rum candle is flipping amazing and I have never had a candle before that smells like it - you should definitely try it out! Never tried bath and body works but they're on my list! !